Beaducation: The Blog: Dad LOVED His Father's Day Gift! Dad LOVED His Father's Day Gift! Dad's are pretty special and some are pretty practical. So what did we get Dad this Father's Day? A gift from the heart and a cold one from the fridge. Ok, close enough. 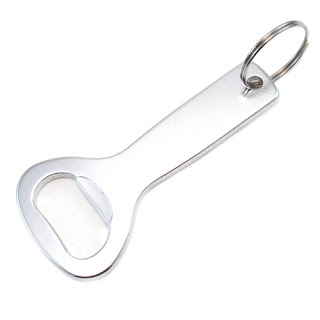 We customized a bottle opener just for him. The reward from all of our hard work was the cold one...press play. 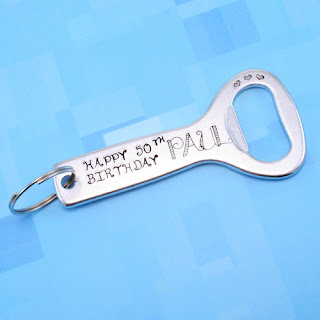 Here is what you will need to make a personalized bottle opener for a gift, an item to sell on Etsy or just to have for yourself. Whichever you decide, this is a quick and easy way to make something custom and useful.